Fourteen officers of Assam’s civil administration and police were arrested in connection with the multi-crore cash-for-jobs scam in the Assam Public Service Commission. 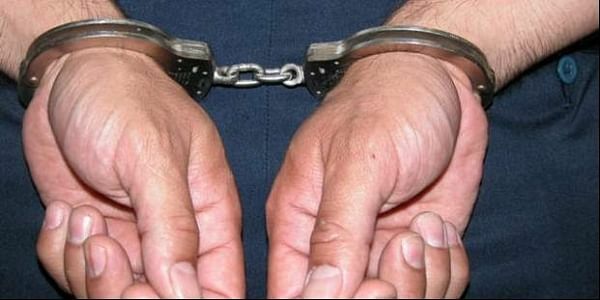 GUWAHATI: Fourteen officers of Assam’s civil administration and police were arrested in connection with the multi-crore cash-for-jobs scam in the Assam Public Service Commission (APSC). The 14 arrested were among 25 officers of the 2013 batch who had secured the jobs by allegedly bribing former APSC chairman Rakesh Kumar Paul, who is now in jail. “The investigating officer is looking for 11 more people. Some of them are possibly undergoing training. The search operation for the accused is on since Tuesday night. If anyone is evading arrest will be known soon,” director general of police (DGP), Mukesh Sahay, told the New Indian Express. There are reports that some of the accused, including the son of a former Assam Congress minister, has gone underground. However, there isn't any list of names to confirm it. “The state government will not compromise with corruption. Whosoever secured the jobs by shelling out money will be arrested. Those absconding cannot get away,” chief minister Sarbananda Sonowal asserted. In May this year, three Assam Civil Services officers were arrested in connection with the scam. The Dibrugarh police, probing the scam, had seized the trio’s answer sheets from Paul’s Guwahati residence in November last year. According to the police, two sets of answer sheets of each of the three officers were recovered from Paul’s residence and the office of APSC. Subsequent forensic tests confirmed the duplicity. Paul besides eight others, including two members and an assistant controller of exams of the Commission, were arrested in connection with the scam. Last year, the Dibrugarh police had arrested an assistant engineer, Nabakanta Patir, after he was caught red-handed accepting bribes of Rs 10 lakh from a lady dentist. He had approached her promising a job through the APSC and demanded the money. But she had tipped off the police which led to his arrest. Later, based on his confession, a PSO of an APSC member was arrested. During the interrogation of the duo, it emerged that they were working as conduits in the sale of the lucrative jobs.